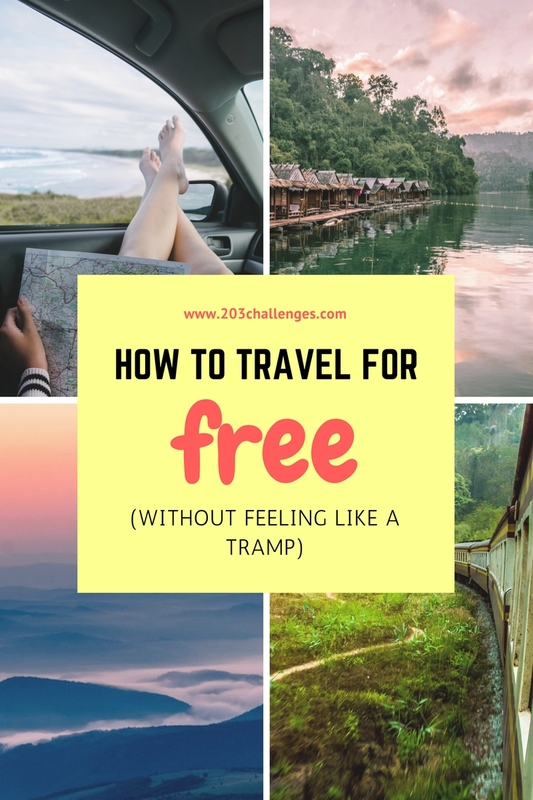 There are some great ways to travel for free, and they don’t even include sleeping in roadside ditches, eating from trash cans or begging on the street! Depending on how much free time you have and how well you can tolerate temporary poverty, you might choose to try only some of the following personally tested ideas (which will help you travel on the cheap, but not entirely for free). You should also bear in mind that there are some things that will never be free, like visas (“Hey, Mr. Border Official, can I work for a day at the border in exchange for a free visa?” won’t get you into many countries…). In the past, using your smartphone for navigation abroad could easily cost as much as a month’s rent, but now you don’t need to pay for roaming fees and paper maps, because you can get it all free and offline. Apps like Google Maps (download the offline area you want to use in advance) and Maps.me are making the life of the traveler easier and cheaper. I’ve found that Maps.me takes less memory, works faster and has offline maps for countries where Google Maps doesn’t work well (Thailand, for example). Both apps have perfect offline navigation – I’ve used them to navigate while walking, cycling and driving. No more will you have to spend money on a local guide only because you don’t understand the local language! Since 2016, Google Translate has been available offline for both Android and iOS. You can use it to translate text to text, speech to text, text to speech, and even draw letters or characters on the screen with your finger. The ultra-useful Word Lens lets you hold your camera over a menu, sign or other item with foreign writing and instantly read the translation (all available languages are here). Global Greeters is one of my favorite online platforms, offering you the chance to see the city accompanied by a local volunteer. You usually have to book a guide in advance, and it’s worth searching at least two weeks ahead to make sure you find someone who’s available. You are paired with a local based on your interests, and your guide will craft a walk around the city specifically for you. Unlike those organized free tours you see around most cities these days, no tips are expected at the end. It’s a good idea to stock up on good karma and become a volunteer guide in your home city. There are several ways to find free accommodation around the world. One option is to use sites like Couchsurfing and Hospitality Club, where millions of hospitable users from all over the world will offer you their homes while you visit their city or village. In exchange, you give them your friendship, nice conversations and – usually – a cooked meal from your country. You can also register on one of the many home exchange, house-sitting and pet-sitting websites, which give you the chance to exchange your home for somebody else’s. Another option: if you’re traveling from one city to another, take the night train/bus. You’ll save money on a night’s accommodation and will have more time to walk around the city the next day. You can also swap your expertise or an item you no longer need for a night at a B&B. Every fall in Italy, during Barter Week, you can exchange goods and services for your stay in a vast number of Italian bed & breakfasts. Free tours are now available all over the world and are a great way to discover a new city and mingle with the current community of travelers there. Free walking tours are most common, but there are also free food tours, free hiking tours, free roller-blade tours, etc. Just type “free tour [city]” into Google and read the details. Although they’re labeled ‘free’, these tours usually end up with an invitation to leave a tip for the guide. Given they usually last two to three hours, we reckon that’s fair enough. This is a popular means of not only surviving but actually having the time of your life abroad. Workaway, WWOOF and many more websites offer you the opportunity to work as a volunteer in exchange for a bed and food. These programs rarely involve a 40-hour working week, so you’ll have plenty of time to explore your surroundings. Almost every museum in the world has a free admission day (for example, every second Thursday of the month). Check it out and take the opportunity, if possible. Some of the most popular attractions in the world are free. Like, always free. The Staten Island Ferry in New York is the perfect way to enjoy the panorama of Ellis Island, the Statue of Liberty, the Hudson River and Manhattan. The British Museum in London not only displays some of the world’s greatest treasures, but is also free and allows photography inside. The Berlin Wall Memorial in Berlin, the Berardo Museum in Lisbon (with works by Dali, Picasso and Andy Warhol), the National Museum of Denmark in Copenhagen and the Victoria and Albert Museum in London are also on the list. Since 2015, on every first Sunday of the month all public museums and galleries in Italy are free, including the Colosseum, Uffizi Gallery and Pompeii Ruins. Of course, you’ll have to wait in longer than usual lines on these free days. Every country has a bunch of exchange programs that let you live (and usually study) in another country for a certain period of time without having to pay for anything. The countries of the EU, for example, have Erasmus, Erasmus Mundus, Leonardo, EVS and smaller-scale projects that can take you to any part of the world, offering decent grants to help you get by while you’re over there. Traveling on your birthday is worth it. Wherever you go, many sights of interest around the world offer special birthday discounts. For example: you can ride the Table Mountain Aerial Cableway to Table Mountain above Cape Town for free. Even if you can’t see an advertised birthday offer at the attraction you’re visiting, it’s worth asking if they can do anything to make your special day that little bit more special. There are several places in Paris that will gladly serve your drink with free food (like couscous, fried clams or a tapas-style snack) – bar La Cordonnerie, bar Le Grenier and the oriental Le Tribal Cafe to name a few. Bars in Milan and many cities in northern Italy offer the so-called ‘aperitivo hour’ (look for the sign). Usually after 7 pm when you order a cocktail in a bar, you’ll get free access to a buffet table with bites. So much has been said about hitchhiking as a free transport tool that the only relevant thing here is to point to people like Tomislav Perko (and his 50,000 km of hitchhiking around the world) as inspiration. Oh, and you might not know this: as a tourist in Amsterdam, you can hitchhike on a local’s bicycle (just look for the ‘Yellow Backie’). If you’re a newbie looking to grab a ride on the hitchhiking bandwagon, read our Beginner’s guide to hitchhiking. Register at Findacrew and browse through all the boats and yachts searching for crew members to join your next sea adventure. >>> Discover more free things to do around the world! This is an awesome post! 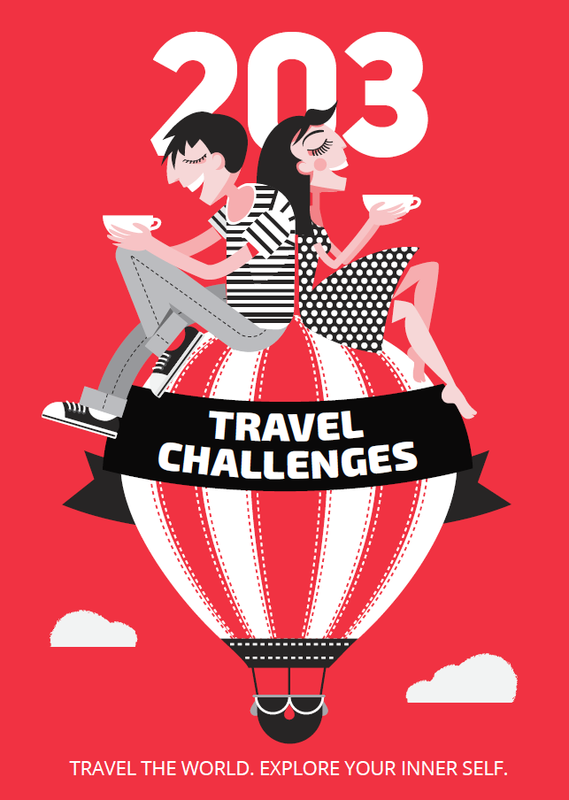 Iv’e heard of many of these options and tried Couchsurfing a few times with some amazing stores to tell. Sometimes the free walking tours are even better than the paid for ones!Never heard of Global Greeters before, will definitely check it out! I like Global Greeters even more than the free tours because you have a local, only for you, and you can discuss more about the mentality and culture of the place than the sites. Google translate has been a life saver. This was especially true when we headed out into rural Russia. Finding a translator is not only very difficult but also extremely expensive! Global Greeters sounds very interesting. I’ll give that a try on my next trip. These tips are incredibly handy! I know a lot of airlines will also upgrade you if you fly on your birthday (if you ask very, very nicely). I hadn’t heard of Maps.me before so will have to look into using that instead of Google Maps! Great suggestions! Free walking tours are awesome! I have done a few of those! I’ve never heard of the coachsurfing. Pretty awesome ide! Awesome ideas! Paris also does the “free museums on the first Sunday of the month” thing. I wish the USA (particularly NYC) would get on board with that – it’s so wonderful for natives and tourists alike. Great advice! Everywhere we travel, we try to take advantage of all the free stuff to do in the area, just to make more of our trip, and have more money left over for eating out and having some drinks! Many museums in the US also have free days, like the 2nd Tuesday of the month, or something like that, which is a great way to see more, and spend less! 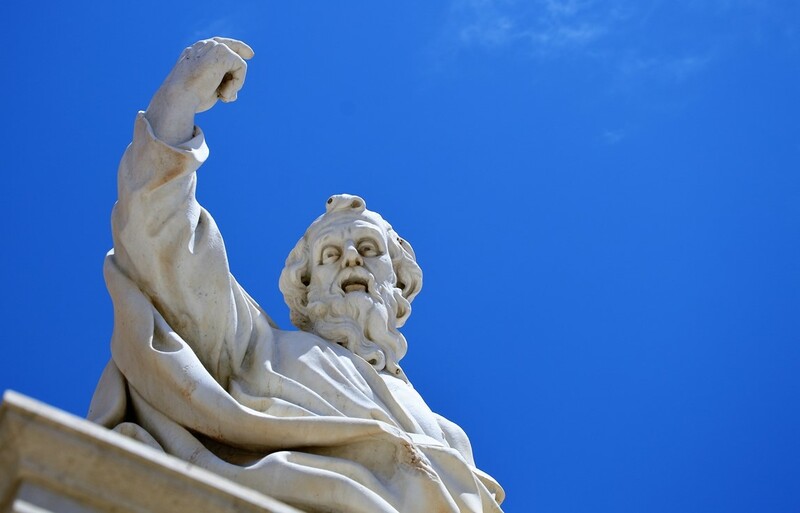 Yes, it’s the same for me – save on museums to have more money for wine! Thanks for the tips girl! Traveling for free is always good ;). I would actually love to try hitchhiking once and also couch surfing seems like an awesome adventure! I’m planning on volunteering for my next trip, so let’s see! Great tips, thanks! I loved the one about Italian Barter week, will definitely check it out. I thought this post was going to be about asking people to give you trips for free. I am glad to see that it’s good, old-fashioned digging for deals. Thanks!